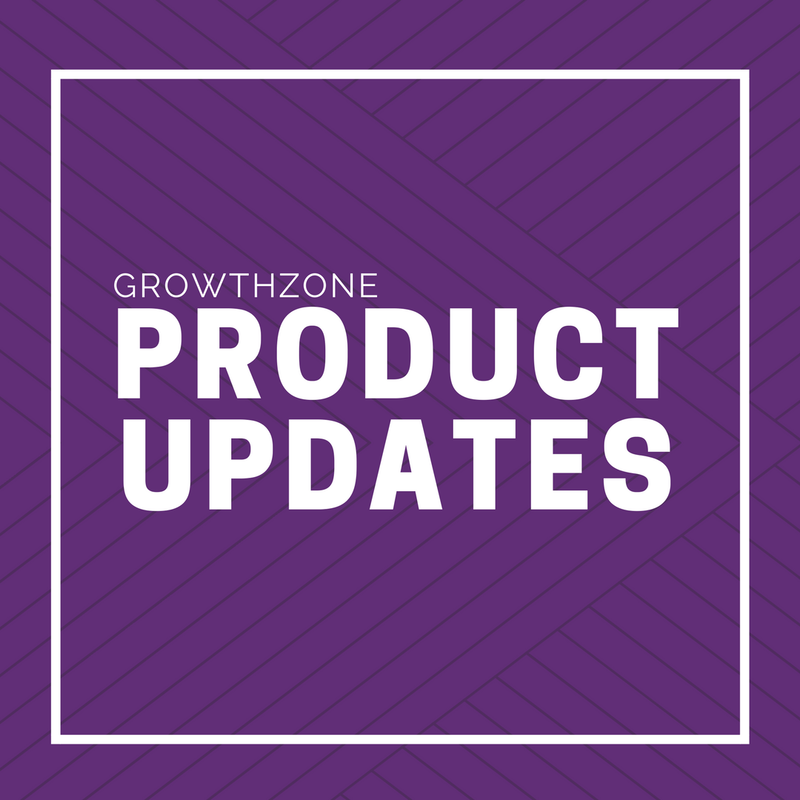 Listed here are some of the items that we implemented into the GrowthZone platform in the month of May. AR REPORTS: You will now see a new AR Summary report and a new AR Details report available in the reporting area. These new reports are more accurate and will run quicker. You may notice that the older versions of these reports now have a messages reminding you to consider using the newer ones. CONTACTS REPORT: The following filter fields have been changed from single-select to multi-select, to really help customers dive into the information they are looking for: Membership Status, Membership Type, Assigned To, and List/Committee. You can also now add the display field of "Tags". SALES BY MEMBER REPORT: We've added the ability to add your contact, individual, and/or org custom fields as fields to display. MEMBERSHIP REPORTS: When choosing any membership report, Membership Category is available as a field to display or filter and the correct data is pulled in. DONATIONS: Free events now properly display donation campaigns. The payment information section only appears if a donation campaign is selected. GOODS/SERVICES: Users are now able to create a Goods/Services on the fly while creating or editing a registration type in Events. See where this is. BILLING OVERVIEW TAB: On the billing overview tab, there are quick links to the AR reports. These quick links are now pointing to the new and improved AR reports. ACCOUNTING SUMMARY TAB: We've implemented an improvement so both the debit and credit are not shown on the same line. This was causing some confusion for customers, so now each of those items will show up on their own line. https://www.screencast.com/t/Cs9Zm6jLz. We have also added a column to display the account number. INVOICES: If you have your invoice template(s) set to list both the organization AND the bill-to contact, you may have noticed that, in specific instances where there was no bill-to contact selected or included, there was a blank space on the invoice between the organization name and the mailing address address. However, we have added logic to remove that blank space when it is present. TAXES: Previously, in the tax rate setup area (Setup> Finance Area> Taxes link> tax rate tab), the tax rate % was rounding up to 3 decimal places. This was causing confusion for customers trying to enter in 4 decimal place percentages. We have now made that display a 4 decimal % now, to clear up any confusion. NEW EMAIL TEMPLATE: It's been requested to have an email template that our customers can use to verify organization information. So you will now see, when creating an email, the "Verify Business Contact Information" template listed under the template dropdown. This is just a quick way to verify, and help you keep your database information clean. CUSTOM LINKS: Customers can now add links to the left hand navigation of the info hub. To do this, go to Setup> Info Hub Settings> and there is now a new tab called "Links". There you can add the links you want Hub users to see. ADDRESSES: When typing in a new address both from the back office and the info hub, it now sets the address TYPE to "physical and mailing" by default, however you can change it to one or the other. You are just no longer able to choose "no choice". GOOD/SERVICES: There is a handy little download icon on the Goods/Services setup screen. See where this is. This spreadsheet download not only gives you a quick and easy way to report on all of your goods and service items, but we have now added more information to the download, including the following fields: Receivables Account, Deposit Account, Product Tax Category, Tax Set, Revenue Recognition Type, and Deferred Income Account. For more details on the items listed above or for more information on how to utilize some of these features, visit our Support Wiki.